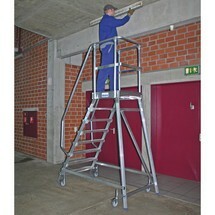 The KRAUSE® platform ladder with railing and castors is made from durable aluminium. 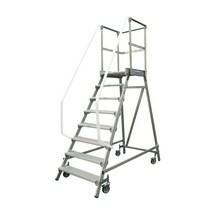 The platform ladder can be accessed from one side and features castors for easy transport and utmost flexibility. 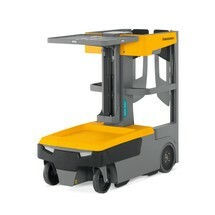 This makes the ladder ideal for warehouse tasks such as working with shelves. 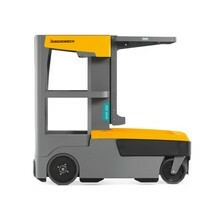 The handrail for KRAUSE® platform stairs ensures additional safety when ascending and descending the stairway. 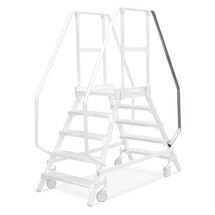 Simply attach the handrail to one of the side rails and the guard railing.